Learn more about Kimberly Hewitt, who leads our college counseling practice and will work directly with you in one of our premium college admissions consulting plans. If you enroll in one of our athletics advising plans, you will also work with Dan Rufner, director of My Game Plan, our athletics counseling partner. At Frontier Tutoring, we are one team with everything you need to advance from aspiration to admission. 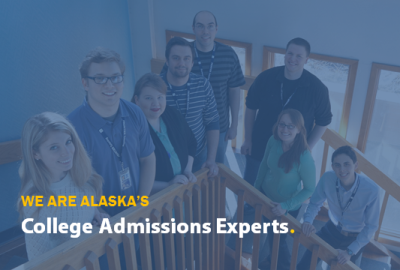 Through every interaction you have with our professionals, we will work to develop a comprehensive understanding of your college admissions goals and the academic, testing, and other criteria necessary to achieve them. If you demonstrate the need for SAT/ACT prep or academic tutoring to enhance your competitiveness, Frontier Tutoring provides all of these programs in-house. See what our students and parents have said about their experiences with our College Admissions Consulting services, along with other Frontier Tutoring programs. I just wanted to let you know that I have decided to attend Chapman University in the fall with a $26,000 yearly scholarship toward a BFA in creative producing and a minor in leadership studies. I would like to thank you for all of the help with my college applications and the Frontier Tutoring team for the help in various subjects and SAT tutoring over the years! Thank you for your dedication to the education of students! K.B. got into Emory. Emory was her first choice. Thanks for all the help that you have given us over the years. You provide a fabulous service to the students of Alaska. I want to give you an update on J.B. He has been accepted to every school he applied. He has decided to attend Georgia Tech so that he can be close to family. GA Tech is Ranked #5 for engineering. He will be majoring in Electrical/Computer Engineering. He is also a candidate for Presidential Scholar for 2015. I think his SAT score helped him achieve his goals. I think it was very helpful to him to take your SAT Prep Class. I thought I should let you know that I decided on the University of Michigan! I visited about 2 weeks ago and absolutely loved it! I realized that I like larger schools more than I like the smaller ones which was kind of a shock. But I'm happy with my decision and I really appreciate all of the help during the application process! 2Top 100 National Universities and acceptance rates from U.S. News & World Report rankings, accessed April 2016. Our focus is on identifying colleges of best fit based on each student's unique needs, regardless of institutional ranking.